Humble Bundle, purveyors of pay-as-you-want bundles of games, software, and comics, have announced another bundle of cheap manga for your reading pleasure. Once again, they’ve teamed up with Kodansha for this bundle, but this time the theme is “Manga to Anime,” manga that have received popular anime adaptations. The selection includes Ghost In The Shell, Battle Angel Alita, The Seven Deadly Sins, Inuyashiki, and more, as well as a month’s subscription to HIDIVE. Like always, all the manga is DRM-free, and part of the price you pay for the bundle goes to charity. This time, the chosen charity is the Comic Book Legal Defense Fund. The Humble Manga Bundle: Manga to Anime by Kodansha is running now, and finishes in two weeks time. 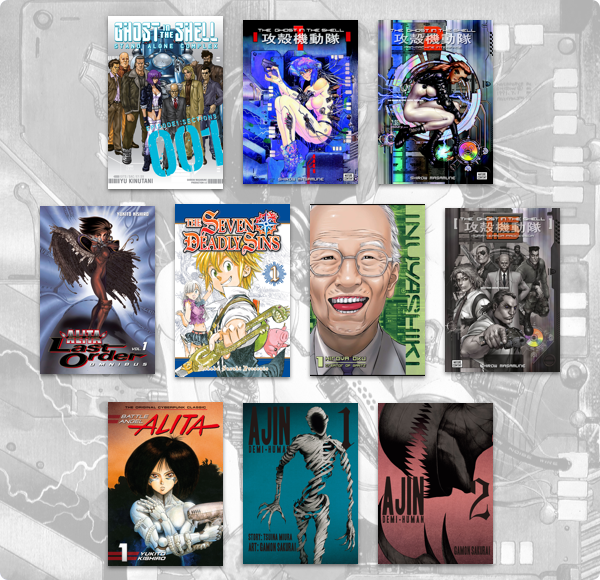 If you’re interested, you can dive into Humble Manga Bundle: Manga to Anime here. Ghost in the Shell: Stand Alone Complex Standard Edition Blu-ray & DVD Releases Confirmed! Manga UK reveals plans for Stand Alone Complex to be available on Blu-ray & DVD once again later this Summer!